Today, the Government have published the Cairncross Review’s final report. The Review was established to explore how to protect the viability of the press, and in particular the local press. The Report is published here in full, and Hacked Off’s press release is available here . “Cairncross is right to note that a free and functioning fact-based press is essential for democracy to function properly. The rise of disinformation and fake news has added fuel to an already raging fire when it comes to unaccountable, click bait news driven more by their bottom line than helping democracy function. 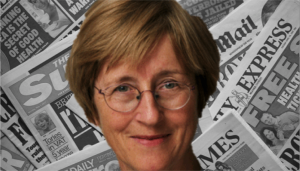 “Cairncross has made some welcome and positive proposals, but she has ducked the two greatest threats to the future of the press in the UK: collapse in public trust, and the power of the publishers. Without addressing these two existential threats to the UK press industry, the recommendations published today will have little effect. “In respect of trust, Cairncross acknowledges the total breakdown in trust in the UK newspaper industry but does not offer a solution. Most newspapers have rejected the Leveson recommendations to establish an independent regulator, which followed successive data theft, phone hacking, and unethical conduct scandals. They have campaigned to suppress the part of that Inquiry which would investigate their own businesses. In place of action in this area, Cairncross recommends appeasement. “Across the local newspaper industry, a handful of companies dominate; some of them implementing a business model of buying up titles, gutting them of staff and resources, and relocating remaining staff to regional hubs many miles from the communities they serve. The largest publishers have conspired to form a complaints-handling body under the control of newspaper publishers and a politician. These companies have become an existential threat to their own industry: squeezing their workforces at every turn to prop-up profits; bringing a politician into their own complaints-handling scheme, and paying out millions in legal claims instead of joining a regulator which could be backed by costs-protections. To address the unbalanced relationship between publishers and the online platforms upon which they increasingly depend for referral traffic (certainly Google and Facebook, perhaps Apple), the Review recommends that these platforms should be required to set out codes of conduct to govern their commercial arrangements with news publishers. The process would be overseen by a regulator, with powers to insist on compliance and particular skills in understanding both economics and digital technology. Once approved by the regulator, these codes can form the basis for individual negotiations between publishers and online platforms. In time, the regulator might move to set out a compulsory set of minimum requirements for these codes. The regulator would therefore need a full set of powers to command information and ensure compliance. If those powers proved insufficient, government should implement stronger measures. Regulation of the commercial relationships between publishers and platforms is a welcome recommendation towards securing the long-term viability of the newspaper industry – but cannot be contemplated until newspapers themselves have signed up to independent content and news-gathering regulation. It would be inappropriate for large newspapers to avoid any regulatory accountability for the content they produce, whilst enjoying the commercial benefits of independent regulation of platforms. The hypocrisy of newspapers welcoming this recommendation, who have rejected independent regulation for themselves at every turn, is overwhelming. The Review recommends that the Competition and Markets Authority use its information-gathering powers to conduct a market study into the online advertising industry. By looking more closely into the position of different players, their roles, costs and profitability, the CMA will be able to identify how efficiently the online advertising market is working, and what remedies, if any, are needed. The Review recommends that the online platforms’ efforts to improve their users’ news experience should be placed under regulatory supervision. Online platforms have already developed initiatives to help users identify reliability, and the trustworthiness of sources. They must continue and expand these efforts, but do so with appropriate oversight. This task is too important to leave entirely to the judgment of commercial entities. The initial requirement would be only a reporting one, to allow a regulator to gather information on the steps online platforms are taking to improve people’s awareness of the origins and quality of the news they read. The most appropriate way to assess the reliability of news sources is to confirm whether they are a member of an independent regulator, as Leveson recommended. Only the Leveson system guarantees an independent process of ensuring reliability and the prompt and prominent correction of any inaccuracy. The role of determining truth must be taken independently, by a body which is certified as not being prone to conflicting interests and biases. The Review recommends that the government should develop a media literacy strategy, working with Ofcom (which has a statutory duty to promote media literacy), the online platforms, news publishers and broadcasters, voluntary organisations and academics, to identify gaps in provision and opportunities for more collaborative working. Media literacy is an important public objective, but it is essential that any such strategy is carried out with genuine impartiality. Any strategy must highlight the role of the Recognition Panel and independent regulation in assessing the credibility and reliability of news sources. Although the Review was not asked to comment on the BBC, it recommends that Ofcom should assess whether BBC News Online is striking the right balance between aiming for the widest reach for its own content on the one hand, and driving traffic from its online site to commercial publishers (particularly local ones) on the other. The BBC should do more to share its technical and digital expertise for the benefit of local publishers. Any Ofcom inquiry into the BBC’s online news provision must be focused on how best the public interest is served – not how best to bolster the profits of the handful of corporations who own more than 80% of the local press. BBC support for accountable publications – especially locals – should be welcomed, but any review must acknowledge that most local titles are owned by multi-million pound asset stripping corporations, who have gutted the local press industry in the UK. Any BBC backing therefore, must be targeted towards independent outlets who serve their communities and are accountable to their readers, through independent regulation. Given the pressing need for news publishers to develop new approaches and tools, this Review recommends that the government launch a new fund, focused particularly on innovations aimed at improving the supply of public-interest news. Initially, the fund should be managed by Nesta, and in due course by the Institute for Public Interest News described below. It should focus on innovation that will not just benefit the recipient, but be sufficiently generous and well-managed to make an industry-wide difference. Public funding for innovations to support investigative and accountable journalism should be welcomed, but the independence of the proposed institute is paramount. The potential closeness of the Institute to politicians and the industry represents a threat to freedom of expression, and more clarity is needed to ensure the body’s independence. Funding for any initiatives must be restricted to accountable news organisations, and not be made to prop-up the business models of those publishers who have been responsible for repeated ethical and legal breaches, and who have rejected the Leveson system of regulation. The government should introduce new tax reliefs aimed at encouraging (i) payments for online news content and (ii) the provision of local and investigative journalism. The Review recommends extending the zero-rating of VAT to digital newspapers and magazines, including digital-only news publications. The present arrangement actively discourages publishers from developing online payment mechanisms. The Review also recommends that government gives priority to exploring the development of a form of tax relief, ideally under the Charities Act but if necessary along the lines of the Creative Sector reliefs, to support public-interest journalism. Tax reliefs, which are effectively a form of state subsidy, should only be made accessible to publications which are independently accountable. While the proposed new reliefs are welcome in principle, if the taxpayer is to help fund journalism, it should be journalism which is subject to basic standards of independent accountability. It would be unacceptable for the Government to direct public money to publications which have no meaningful accountability to the public. The Review recommends that direct financial support for local news should be expanded. Government should encourage the refinement and extension of the Local Democracy Reporting Service currently managed by the BBC. In due course, management of the service should be passed to, or shared with, the proposed Institute for Public Interest News. Direct financial support for local news must be invested in independent, public interest journalism. The Local Democracy Reporting Service, which is bankrolled by the BBC, places journalists with some of the most destructive companies in the local newspaper industry, whose business models are based on buying up titles and gutting them of resources. The Service needs drastic reform so that it is accessible only to accountable news providers. It should then be expanded, funded by a levy on social media companies, and not be at the expense of the BBC. The Review recommends the creation of a new Institute for Public Interest News. A dedicated body could amplify efforts to ensure the future sustainability of public-interest news, working in partnership with news publishers and the online platforms, as well as bodies such as Nesta, Ofcom, the BBC and academic institutions. Its governance should ensure complete freedom from any political or commercial obligations, and its strategic objective would be to ensure the future provision of public-interest news. It would become a centre of excellence and good practice, carrying out or commissioning research, building partnerships with universities, and developing the intellectual basis for measures to improve the accessibility and readership of quality news online. It would collaborate with the many institutions seeking to contribute funds, organisation or ideas. If new business models fail adequately to support public-interest news, and especially local democracy reporting, the Institute might become a rough equivalent to the Arts Council, channelling a combination of public and private finance into those parts of the industry it deemed most worthy of support. An Institute of this kind would be a welcome innovation and was called for in Hacked Off’s consultation response; albeit as an extension of the Press Recognition Panel. However, unlike the Press Recognition Panel, the requirements for industry and political independence for the proposed Institute are not set out, which puts the body at risk of corruption. Absolute independence is vital, and the newspaper industry in the UK cannot be permitted to install politicians and press executives of their choice in powerful positions in the new body, as they have done between their pet complaints-handler IPSO and its superior body the RFC. If the Americans can be concerned about Russian interference in their elections, then maybe we should be concerned that virtually all of our press is owned by foreign individuals who pay no UK taxes, but spin disinformation and, in the case of the Murdoch titles – downright falsehoods for decades now. These people take no part in our democracy apart from when they seek to subvert it. They choose politicians to put forward who will abide by their ‘doctrine’ of low taxes for the rich, high taxes for the hard-working populace. Witness Theresa May rushing across the Atlantic to get her orders from Murdoch the day after the UK election, but taking three days to visit the grieving families of the Grenfell dead. Where was that headline news? There are many good things in the report, but it is dominated by a traditionally British sense of reasonableness. What we are faced with does not yield to to standard liberal values, which are now popularly abused in the social media. Radical, wholly independent regulation and punitive action is needed if the pernicious internet giants and media monopolies are to be tamed. The gloves need to come off. There needs to be some mechanism whereby individuals attacked unfairly and inaccurately in the press have a guaranteed opportunity to answer back in the same medium. I held this view for decades before I was smeared a year ago by the “Daily Mail” which denied me any right of reply and was supported by IPSO which argued that some false statements did not matter, and that words – quoted from me out of context and given a contrary spin -were nevertheless verbally accurate. More on my case if required. The world now has Free Energy at Nuclear level and oil coal and Uranium are finished, unbeaten by MIT CALTECH and NASA, Do not tell your stakeholders you weren’t told. And supplied proof. The gravity drive is no myth and does not create energy or any such nonsense it simply captures gravity like solar panels capture the sun. the instructions link is on this email and there are already 24000 plus emails of it sent to governments and universities, this was done over 3 years, the media was give this over the last 12 weeks and still remained silent. You only need consider this, it has less moving parts than a mountain bike and is 100th the cost of a nuclear reactor at 1050MW. Additionally you know it is the real thing as the inventor did not seek money but published it patent free to all mankind and offered $40000 to anyone who could find a flaw, any mechanical engineer will tell you it works in a matter of hours as there is no new secret technology just good physics with existing machinery and would take china about 90 days to build. Get an engineer and a physicist for 4 hours and you will know, actually they will know n an hour but it will blow their minds so much due to the simplicity they will check it at least three more times. You do not seriously think that universities and high school struggling to get grants or funding would not have held school debunking contests to beat a machine with less moving parts than a mountain bike to get the $40000 offered to find a flaw??? $40k AUD to an Indonesian university is like a million dollars to MIT as far as wages goes. So not one challenge? MIT was sent the instructions more than 2000 times so when they say they do not know what you are talking about consider that Emails to every newspaper in the UK, Canada, South Africa, Norway, the entire state of Massachusetts, the entire state of California, the Pacific Island Nations, was just part of the emails sent out did not have others ringing and emailing them? Well they did receive millions and millions of dollars from Nuclear energy companies, yet let their students hold fundraisers when $40k is sitting there with a machine with less moving parts than a mountain bike ready to be debunked in a matter of hours by the world best physicists and engineers??? Where are all the debunking projects at the university engineering and physics departments racing to get the $40k??? So you understand that it is more impossible for that to occur than for some to simply do with gravity what someone already did with the sun and solar. Imagine a car parking building 200mx200m as high as you like, you could drive all the way to the top, now add glass windows as grow houses and unlimited free energy, you do not need land to grow Soy Beans or any other crop, iron ore becomes steel with no energy costs, steel companies can build their own, hydrogen is free, it will run on the moon and mars colonization would be virtually overnight, simply divide the height for multiple smaller ones taken up on shuttles or in areas where height structures are difficult ( a 1050MW machine cut into ten 12m units would need an extra unit due to friction increases from multiple machines or simply make the ten 10% higher. The government and universities kept it secret, the Media has remained silent, so I go now to the people directly, remember every single company on earth can simply build their own at steel plants or plastic factories even large resorts (unlike most equipment designs that are scaled up, this was designed full size, so unsure how small it can be scaled down to efficiently for individual houses) download the instructions, youtube killed it, Yahoo killed the original email account sending it out, facebook deletes all the posts. I saved the entire planet and mankind, what did you do today? Your points are well taken; the question, as always, is how reform is to be brought about. The Leveson opportunity has now been forgotten and politicians are currently totally preoccupied by BREXIT (there will always be some ‘greater’ distraction that our news providers can hide behind). Will it take another Milly Dowler episode to stir the requisite public indignation, where, once again, established interests can rely on the short lifespan of such episodes to ensure the continuity of ‘business as usual’? How is change to be brought about – in a reasonable, democratic fashion? The takeover of JPI Media – used to be known as Johnston Press – has just been waved thru by Jeremy Wright. The buyer is a rapacious US hedge fund, who will not invest one penny in UK journalism. Hundreds of millions of JPI pension liabilities have then been dumped in the PPF, Pension Protection Fund. So what is this Cairncross hypocrisy ? Top publisher is owned by slash and burn hedge fund, and ships out pesky liabilities. Publisher then wants state subsidy to bail it out, and inflate returns ?